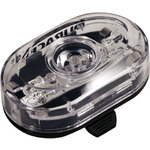 This Duracell LED Front bike light features super bright energy saving LEDs which ensure that you will be visible to other road users in the dark. 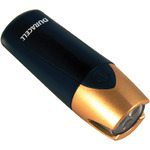 A splash water protected housing for rainy days and included original Duracell batteries for an extra-long run time. 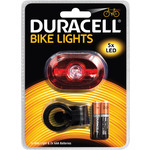 To protect your lighting equipment from theft when not in use, simply click off the bike light with one hand movement, store them in your pocket or bag or just use them as a miniature flashlight. 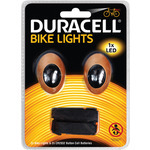 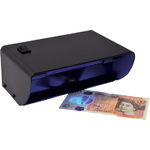 Supplied with 2 Duracell AA Batteries and fitting kit.